Authentic relationships? Balanced spirituality? Purpose and meaning? Intimacy with God? Selfless love? Opportunities to reach out to others? We invite you to consider joining us. The Community of Saint Columba is an intentional Christian community in Missoula centered on a purposeful life of pursuing intimacy with Jesus and one another. We are a group of people looking to fully live out a Jesus-shaped spirituality in today’s world. Drawing on ancient spiritual practices, we apply them in a contemporary fashion that makes sense. We live in a world that tells us that we can have what ever we desire. Yet, many people feel more alone than ever, in spite of pursuing all that their hearts desire. Why such a disconnect? We were not created to be alone. We were created for community. From the moment God created us we were meant to be in relationship. Fr. Justin Read-Smith grew up in Boise, Idaho. Growing up in Boise is where his great love for the Northwest was born: his love for fishing, hiking, and the beauty of the region. After high school, he began a classical performance degree at the University of Puget Sound. But it seemed God had other plans for him. After a year of overseas ministry with Time for God in Britain, Fr. Justin ended up in Youth With a Mission (YWAM). It was there that he met his wife Liz. They spent several years with YWAM in a number of nations as they gained their Biblical Studies degrees and extensive ministry opportunities in multiple cultural contexts. However, with the call to the priesthood evident, they moved to Vancouver, Canada for Fr. Justin to earn his Master of Divinity (MDiv) from Regent College in 2007. In 2008 Fr. 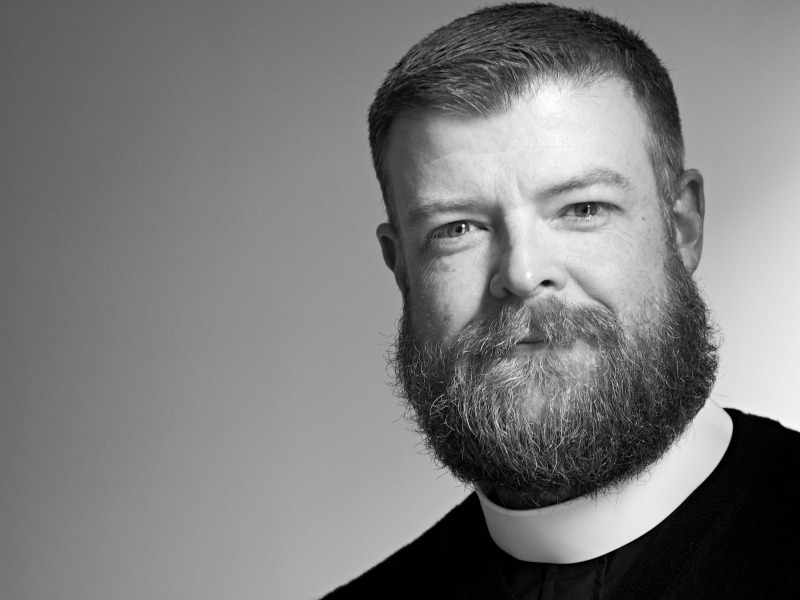 Justin and the whole family moved to London, England to serve in the Church of England, being ordained to the priesthood in 2009. It was an incredible opportunity working in the Church of England, seeing the varied ways the church impacts a culture. While living in London it became clear the family was called back to the United States to church plant with the Anglican Church in North America (ACNA). In 2011, he and his family moved to Missoula, Montana to “parachute drop” a church plant into a community in which they had spent no more than a couple days. After 6 years and working several jobs alongside church planting, Missoula is now home to the Community of Saint Columba, an Anglican community with a vision gathered around the Four Practices: Worship, Community, Formation, and Mission. Fr. Justin’s passion is clear to all who meet him, especially his desire to see God known by others with the hope of bringing this truth into all areas of their lives and community. It is this passion that results in him spending many a late night with others in discussion and exploration. But, when he can, he is in the woods wading in a river with a fly rod. Fr. Justin and his wife, Liz, have been married for 16 years. They reside in Missoula, Montana with their four children.